Long time members of South West Quilters will be very familiar with this logo which was used by Pam in her newsletters and correspondence. Pam, who lived in Exeter, was a founder member of SWQ, a main pillar in fact of the organisation during the first 10 years and a generous provider of support and information for many. Pam was the first editor of the SWQ Newsletter which has been a much admired and valued asset for the group since its beginnings in the early 1980s. As an experienced embroiderer and teacher of many related crafts in the further and adult education sector, she was well placed to take up the helm to produce informative and coherent 24 page newsletters single handed, typed on her trusty typewriter (no fancy computers then with editing and cut and paste facilities), and then laboriously collated in such a way that Dorrie could assemble them off the photocopy line at St Peters School printed as cheaply as possible on A3 sheets of paper rather than what would have been the simpler, but more expensive version on A4. How times have changed!!!! Pam was also responsible for putting together the many lever arch resource files showing samples of different kinds of patchwork and quilting which also now belong to SWQ. Not only did she request and then badger many members to produce individual samples, but the majority were actually made by Pamela and the late Lawrence Bolton themselves. I hope new members have the chance to see these folders and maybe someone will be inspired to update them with some samples of more recent P and Q techniques, particularly those which have been developed in the field of Contemporary Quilting. 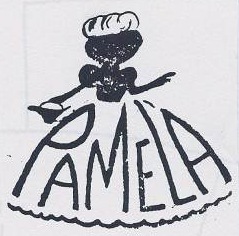 Pamela was known to many people in the quilting world, not just in the S.W but she was in regular correspondence with many nationally and internationally known quilters. Her knowledge of techniques, collection of books, patterns and magazine articles, all meticulously filed was legendary. If she did not know the answer to a question, she would arduously research it and that was in the days before the Internet! She was the Google of SWQ during the 1980s and 1990s. In addition to her role in SWQ, she was an committed member of Exeter Quilters, the Embroiderers’ Guild and the Quilters’ Guild, serving as an area rep from 1989 to 1992. As a thank you for her services as the newsletter editor, Barbara Janssen organised a collection of 6” fan blocks in 1991. 67 members initially submitted their embroidered squares but when these were presented to Pam, she put out a personal request for more, aiming to produce a setting with 120 blocks. In the end, she managed to collect 116. The photograph below shows Pam proudly holding up her assembled quilt. Every member who contributed was personally thanked with a photo of the quilt and a plan to show where their square was sited. Pamela did not enjoy very good health in her latter years and she was prevented from doing much sewing due to her arthritis. However she died unexpectedly and suddenly in December 2011. I am sure that there are many of you out there who knew Pam and who owe much to her knowledge and expertise and who would join me in celebrating her contribution to SWQ over the years.